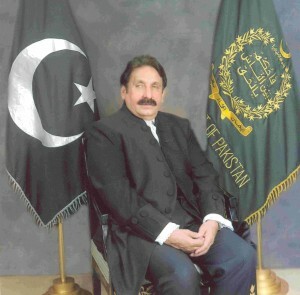 The Pakistan government agreed on Monday to reinstate Iftikhar Chaudhry as Supreme Court chief justice to end a political crisis that has gripped the Muslim nation, a government official said. The official added that a constitutional package would also be presented. President Asif Ali Zardari had hitherto stonewalled calls from the opposition led by former prime minister Nawaz Sharif and a lawyers’ movement to restore the judge. No solid confirmation as yet, but Prime Minister Yousaf Raza Gilani is scheduled to address the nation shortly.